Before disciplining your special needs child. Before disciplining, make sure it's what your child really needs. You may be fed up with your child's bad behaviour -but is it misbehaviour thats needs discipline or is it just behaviour related to your child's disability that can be resolved with understanding and support? Very often, if you change your actions and reactions to your child, their behaviour will change for the better. Does my child understand what's being asked? You may feel that what you are asking is very obvious, and your child's lack of response may seem like defiance to you. But if your child has language problems or developmental delays the message may not be as clear to him as what you think. Be straight forward and use simple language with your child, free of word play or sarcasm, and make sure he really understands you before disciplining him for not listening to your instructions. Have I broken down the task? You may have asked your child to do something, and in the middle of the task he stopped, and wandered off. Before punishing your child, think about what you have asked him to do, and his ability to complete multi-stepped tasks. Where your instructions clear enough? Is the job to big or complicated? Can you break it down into fewer steps? Will your child cooperate if there where fewer steps? Try asking your child to complete one step at a time, instead of the whole task, this may increase their cooperation. Is my child having trouble with transition? Many children with special needs struggle to move from one task to the next, and may need extra time to change gears. Planning for the next step and giving your child plenty of warning and enough time to move between tasks, will prevent bad behaviour. Does my child have planning problems? If your child struggles with organization, control and foresight, don't treat these problems as deliberate misbehaviour. If your child cannot keep track of things, control impulses, predict consequences of actions or remember disciplinary actions for future references, change the way in which you give instructions and some of your expectations, so that problems don't come up in the first place. Provide lots of positive reinforcement when things are going well, and deal with misbehaviour quickly and with an emotion-free time-out. Does my child understand the difference between truth and lies? Lying may seem very clear cut to us and is not tolerated by most parents. But for some special needs children the line between honesty and deception is not so clear. Developmental delays, language problems, poor memory or lack of cause and effect thinking may lead your child to say what is not true without any malice intended. So before disciplining your child, make sure that you understand the underlying problem, provide good supervision for your child so that you don't always have to take their word, and truly understand where the problem is coming from. Is my child paying attention? Children who struggle with attention issues may miss messages or instructions about what they are suppose to be doing. If this is the case, make sure your child's attention is focused on you when you are giving them instructions. It is not fair on your child if shout instructions from across the room or speak normally in a loud distracting environment and then blaming your child for not following through. Is this battle worth it? Some issues are just not as important as others. The issues that affect the safety and well being of your child, and some others may be non-negotiable, but everything else should be in play. 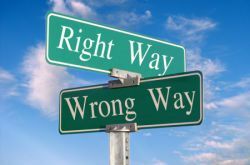 How often do you put your foot down based on your own preferences and convenience, not a proper issue of whats right or wrong? Allow your child some leeway, and let this be an opportunity to teach your child how to compromise. Otherwise, you are likely to get caught in a power struggle or ultimatum that will only make things worse. Am I being to emotional? Before disciplining your child, make sure that you are not being too emotional and in control of the situation. Children with special needs have an uncanny way of pushing your buttons, and its easy to get worked up and go overboard with the consequences. Take some time-out for yourself before dealing with your child's misbehaviour, and remember that your child may also be overreacting to a stressful situation and environment. If you are not staying calm, you are partly to blame for the tantrum and how the situation plays out. Don't make a punishable offense out of something you know your child cannot do, or ought to do. Consider what your child's special needs are before formulating your expectations, and when misbehaviours seems stubborn, consider whether it could be disability Related. And when you knowingly put your child through something you know they cannot tolerate well, like shopping trips or noisy restaurants, you can only blame yourself for that public meltdown public meltdown , because you should have known better. So before disciplining your child for their actions, consider yours. Positive consequences often go a lot further than negative ones in motivating good behaviour in a difficult child. So before discipline your child, consider wether you could turn the behaviour around with the right incentive, leaving both you and your child with a successful experience. Am I giving my child enough time? Counting to three is the acceptable amount of time for behaviour management, but for special needs children this may not be enough time to move from one task to another, especially if they transition problems. Instead of counting to three, count to ten, giving them more time to change their focus. If your child then ignores you, you may still have to administer the consequences. Do I praise as much as what I discipline? What does it take for your child to get your full attention? Usually your child gets your undivided attention when he "acts up", so you will get a lot more of this kind of behaviour. Keep giving your child positive comments and praise, a lot more often than negative comments. Before disciplining,head off bad behaviour, by saying something good or doing something with your child and over time there will be fewer and fewer problems.